"Nominal sounds like a very boring word, but in the world of spaceflight, nominal is engineer for awesome," noted a blog from NASA's Jet Propulsion Lab, which is in charge of Curiosity's screaming descent. All systems seem perfect for the landing, in other words, with rocket scientists at NASA's headquarters more or less observers hoping for the best. sent a signal to Earth indicating it had landed on Mars. PASADENA, Calif. – In a show of technological wizardry, the robotic explorer Curiosity blazed through the pink skies of Mars, steering itself to a gentle landing inside a giant crater for the most ambitious dig yet into the red planet's past. A chorus of cheers and applause echoed through the NASA Jet Propulsion Laboratory on Sunday night after the most high-tech interplanetary rover ever built sent a signal to Earth. Minutes earlier, it had been in a harrowing plunge through the thin Mars atmosphere. living thing on that remote, forbidding planet. ...... but still they come!" If David Icke is right some of us Martian Hybrids will be glad to see pictures of our native planet. PASADENA, Calif. (AP) — The robotic explorer Curiosity's daring plunge through the pink skies of Mars was more than perfect. It landed with spectacular style, said a NASA scientist, describing the first images of its mechanical gymnastics. 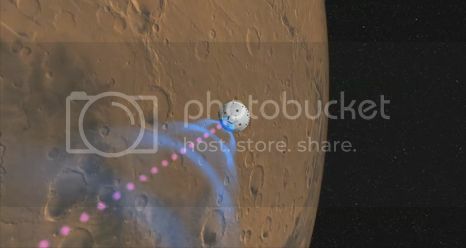 Hours after NASA learned the rover had arrived on target, engineers and scientists got the first glimpses of the intricate maneuvers it made to hit the Martian soil safely. One year and 566 million kilometres later, the Curiosity rover celebrated its birthday with a TIME Person of the Year nomination. Safely tucked inside a Mars Science Laboratory spacecraft, Curiosity left for the Red Planet on November 26, 2011. TIME notes that it was the dramatic August 5 landing - dubbed the "seven minutes of terror" - that drew the world's attention, perhaps earning it the prestigious nod. But the Curiosity rover's accomplishments stretch far beyond its grand entrance. 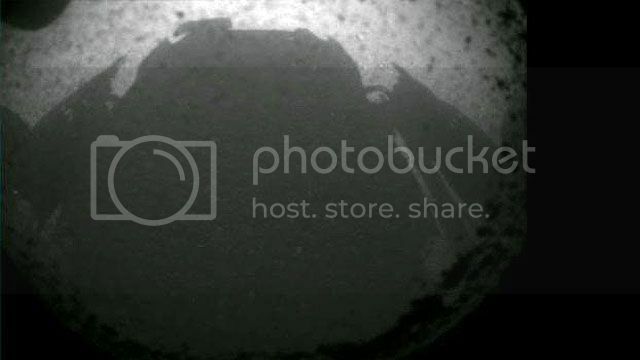 Just three months into her two-year mission, Curiosity has already returned more than 23,000 raw images, driven 517 metres and delivered history-making data about the mysterious Red Planet. And she delivers this information to the public via a quirky social media personality managed by a three-woman team at NASA. 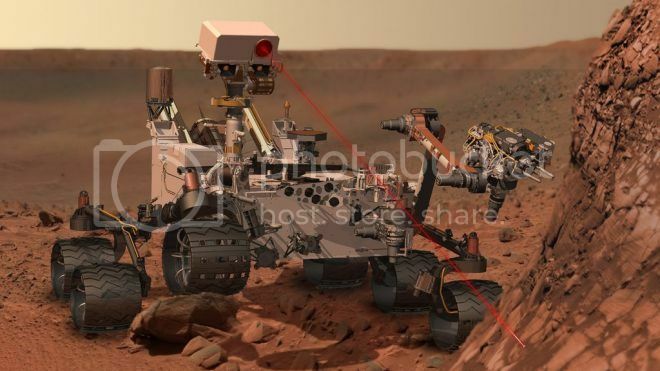 Curiosity celebrated her birthday at a site called Point Lake, where the rover team intends to find a target for first use of the rover's rock-sampling drill. While Curiosity may not be an actual person, the robot has made significant scientific advancements that will forever shape mankind's understanding of Mars - a qualification that makes the car-sized rover worthy of the nomination. Curiosity wasn't the only non-human to make TIME magazine's annual list. The Higgs Boson Particle is also a contender for "Person of the Year". 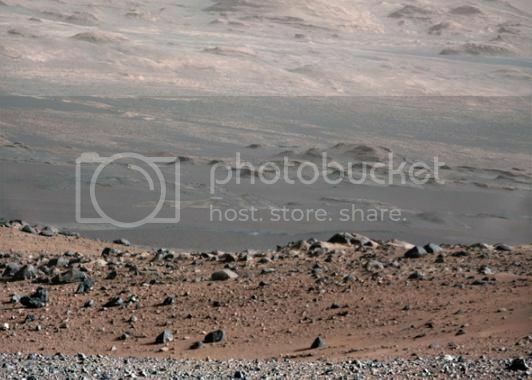 represents the rover's ultimate goal. 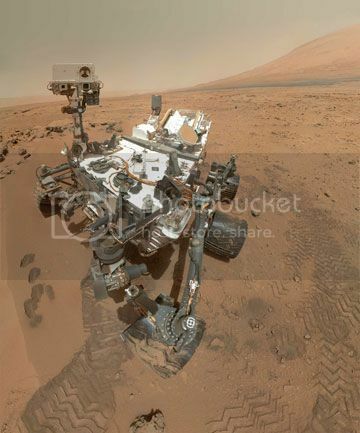 Analyzing powdered samples drilled from the interior of a sedimentary rock, the Curiosity Mars rover has detected traces of the chemicals and compounds necessary for a habitable environment in the red planet's distant past, scientists reported Tuesday. 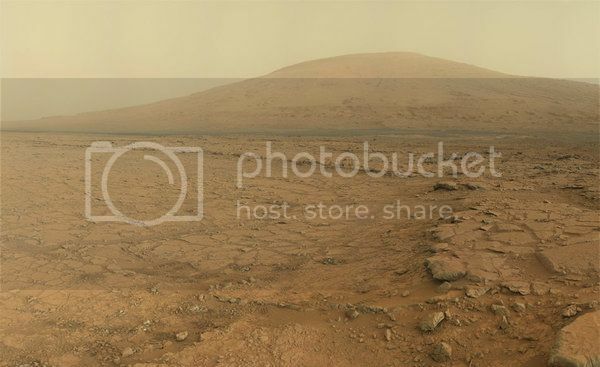 "The key thing here is an environment a microbe could have lived in and might have even prospered in," John Grotzinger, the Mars Science Laboratory project scientist, said during a news conference at NASA Headquarters. Answering questions later, he added that "we have found a habitable environment that is so benign and supportive of life that probably if this water was around and you had been on the planet, you would have been able to drink it." Asked if Mars might have been habitable at the same time life was developing on Earth, Grotzinger said "we're talking about older than 3 billion years ago, and we're probably looking at a situation where plus or minus a couple of hundred million years, it's about the time we start seeing the first record of life preserved on Earth." Maybe some of us are Martian Hybrids and that used to be "home." 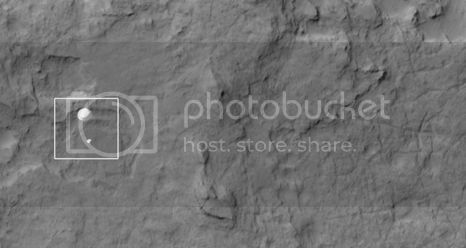 Anyway amazing stuff coming from Curiosity. Thanks, Rumpole. Engineers had hoped to resume Curiosity science operations on Monday following a problem with the rover's main computer two weeks ago. But a second computer problem surfaced on Sunday night as the rover was attempting to radio data files back to Earth, said lead scientist John Grotzinger of the California Institute of Technology. If I was Curiosity..... I would stop talking to Earth... send my pictures and stuff to some Venusian ISP. Standing water and an energy source. Five basic elements: carbon, oxygen, hydrogen, phosphorus and nitrogen. And time, lots of time. In its search for environments where life might have started on Mars, the Curiosity rover has found the standing water, the energy and the key elements with the right atomic charges. As a result, scientists have concluded that at least some of the planet must have been habitable long ago. But the period when all conditions were right was counted in hundreds to thousands of years, a very small opening by origin-of-life standards. That has now changed. John P. Grotzinger of Caltech, the project scientist for the mission, reported at a news conference on Monday that the rover’s yearlong trek to Mount Sharp provided strong new evidence that Gale Crater had large lakes, rivers and deltas, on and off, for millions to tens of millions of years. The geology shows that even when the surface water dried up, plenty of water would have remained underground, he said.